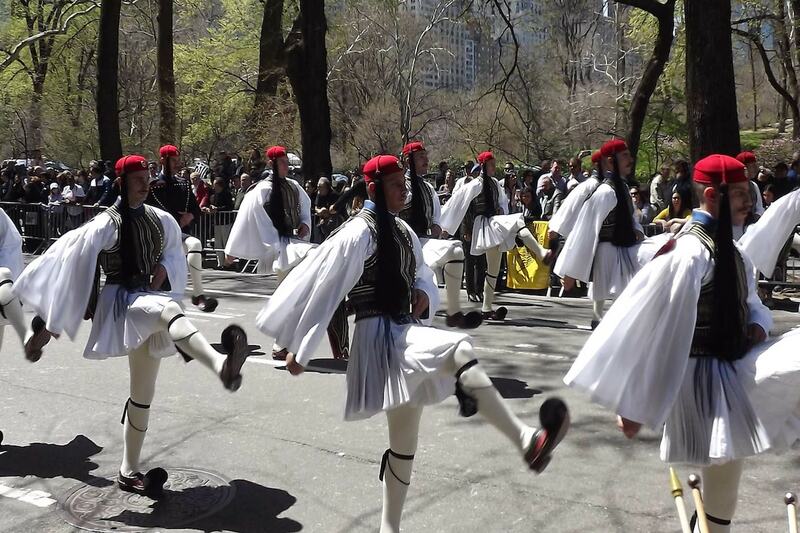 Can’t make it to New York City for the annual Greek Independence Day Parade? It’s okay — you can now watch the parade streaming live on New York City’s local Fox affiliate. The live stream will begin at at 1:30pm, depending upon the start time of the parade. Thousands of participants are included in the parade, from the area Greek Orthodox churches, schools, societies and businesses that will all have floats. The New York City Greek Independence Day Parade is the nation’s largest, with tens of thousands of spectators lining Fifth Avenue from throughout the tai-state area and the nation. My Name is George N. Pappas (Papadoupolis, My Parents Nicholas and Zoi came to US from Eleftharias ..Navpactos Greece. My father came to US around1907. He was called to the Balkan Wars where he was awarded several decorations for his fighting against the Bulgarians and Turks and he was wounded. He sent for his bride to be and they were married in St Nicholas. They moved to Indianapolis and raised 7 children: Aglaia, Mary, Bill, James, Efthemis, Mike and last me, George. All of us boys served in the military. Mary’s husband served in Army in Europe with General Patton. Mike and I served in the Korean War. James in Japan, Efthemes was a Marine in Korea and served with Greek soldiers. Only 2 of us are still living. I really appreciate this web site..Thank you.